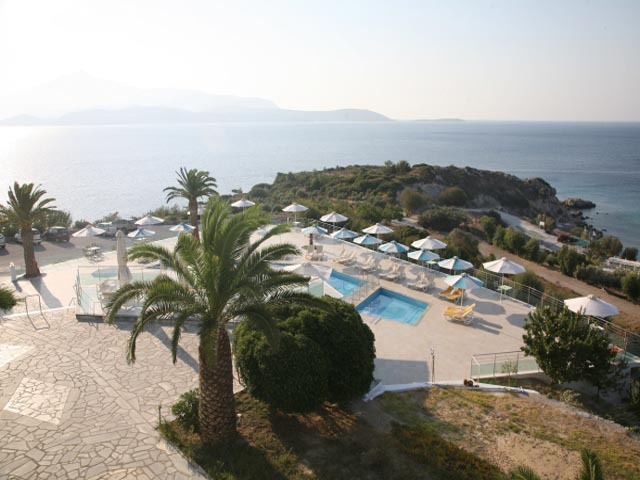 9 Hotels found in Samos! 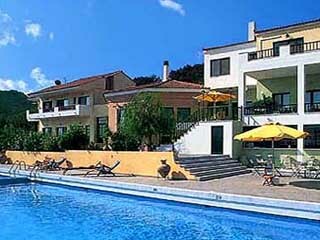 Open May to October... Proteas Blu Resort in a tranquility atmosphere shows character and inspires a sense of familiarity. 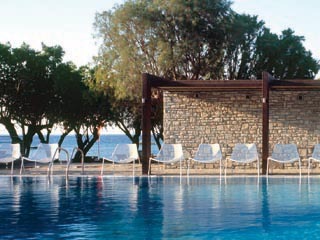 Open May to October... Arion Hotel is the ideal place for people whose dream is a relaxing holiday. 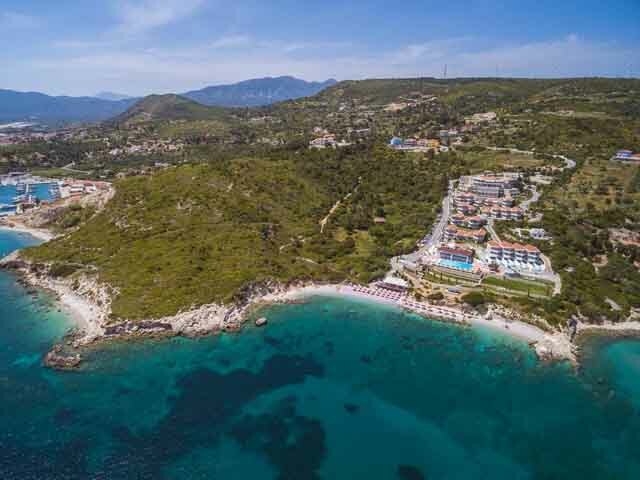 Open: May - October... Hydrele Beach Hotel complex is situated on one of the longest and most beautiful beaches of the island of Samos Potokaki just a fifteen minute walk from the harbor of Pythagorio. 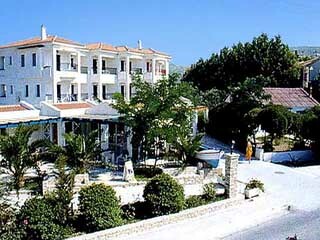 The establishment is built in the local architectural style next to the sea. Open: April - October... 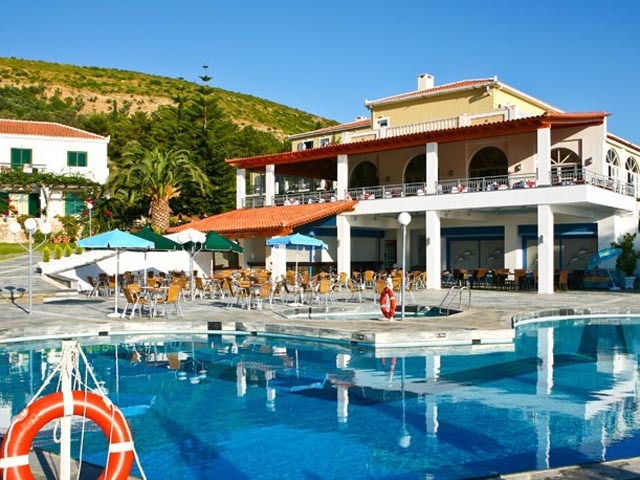 The Bluehotel Ionia Maris has a superb location, 16 km from Samos Airport, 1,5 km from the port of Vathy and 800 meters from Samos Town. 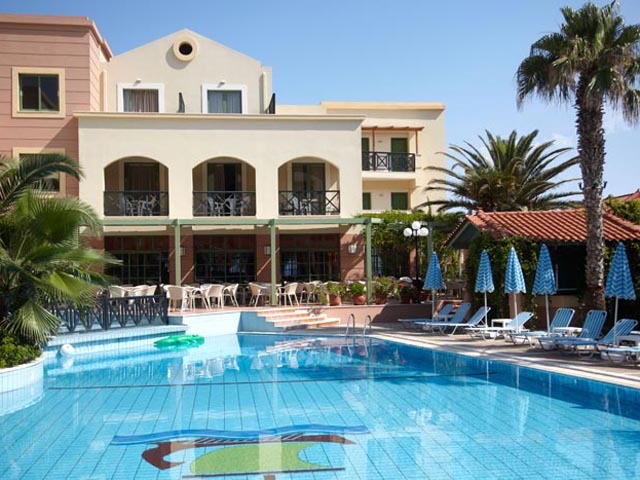 Open: End of April to Middle October... Kalidon Hotel, offers its guests a warm and friendly atmosphere overlooking the marvelous view of Lemonakia beach and Kokkari village. 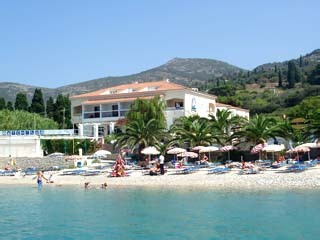 It is situated 300 m from the beach and 2 kms from the center of Kokkari with its variety of taverns and tourist shops. 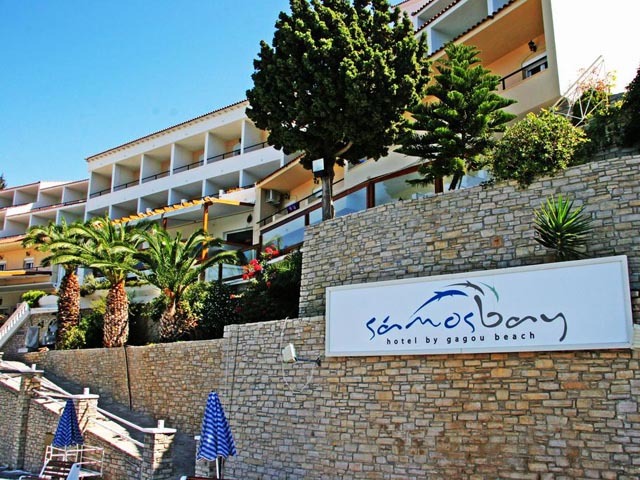 Open June to September... Princessa Riviera resort is one of the best hotels in Samos Island, featuring beautifully decorated and in a modern way equipped rooms, based on a nice mix of traditional architecture and contemporary feel. Open:March to Octomber...Situated directly on the beautiful Gagou Beach, this hotel offers an excellent beach base complete with a relaxed and friendly atmosphere, free internet access and half-board accommodation.